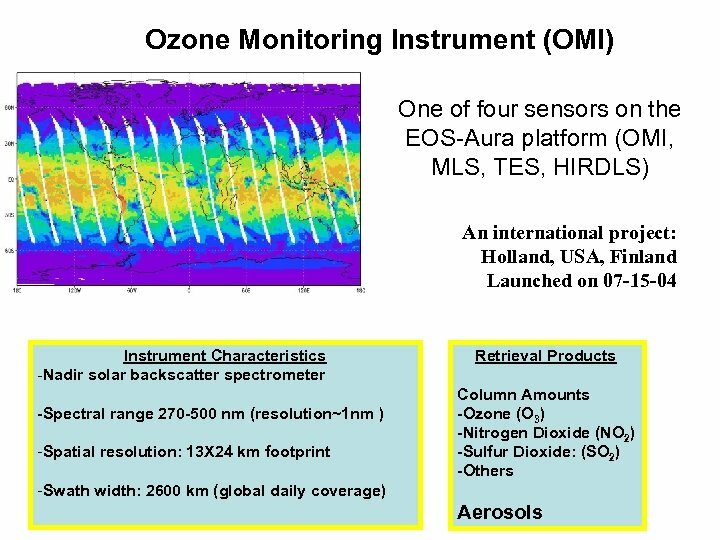 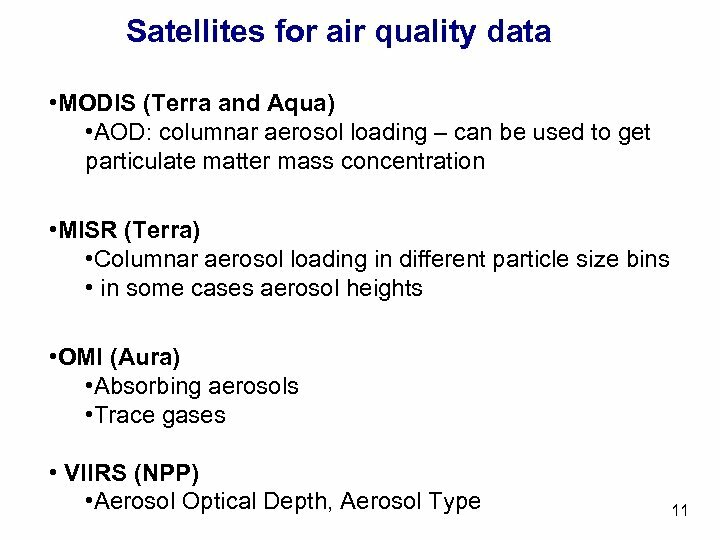 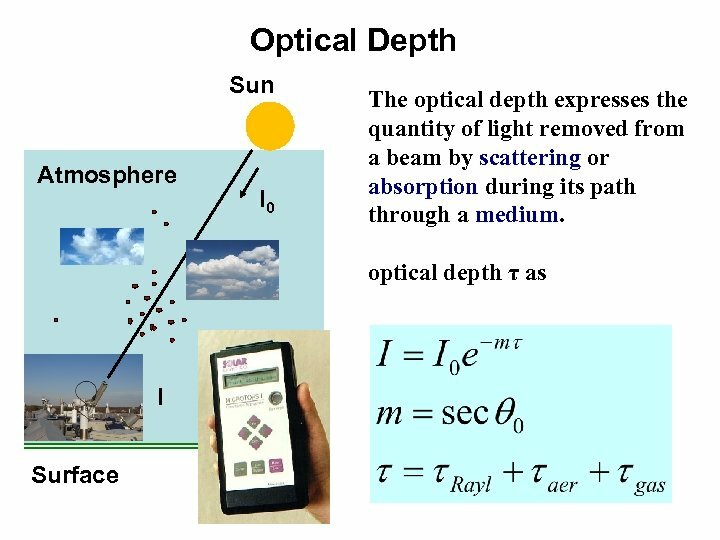 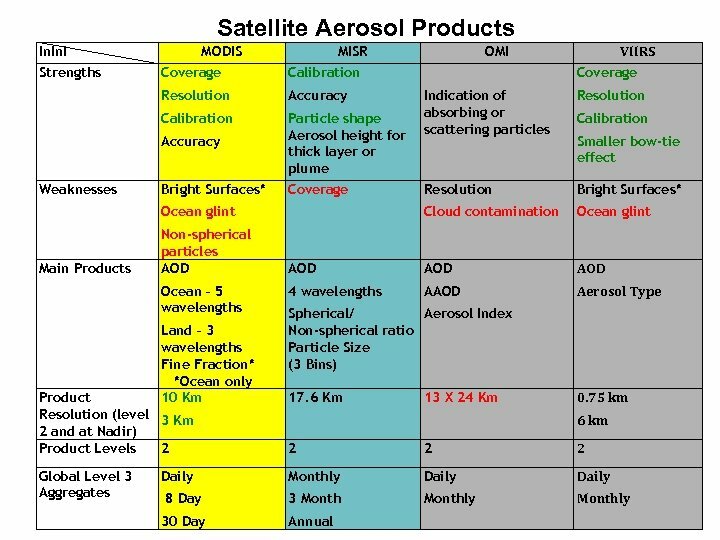 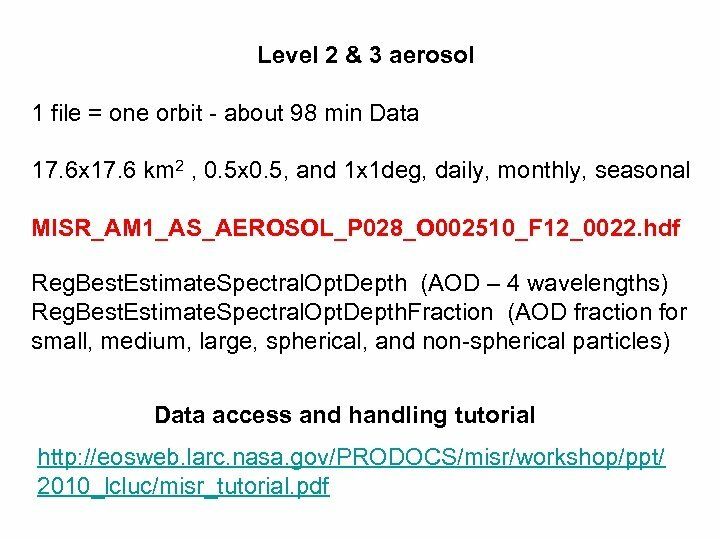 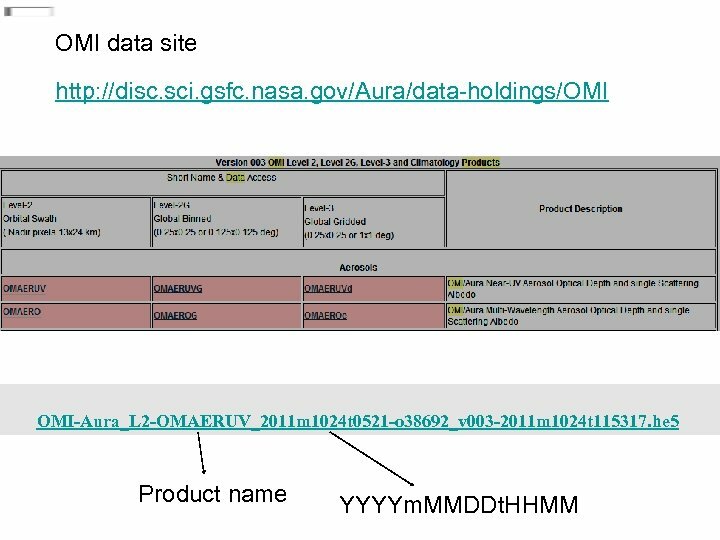 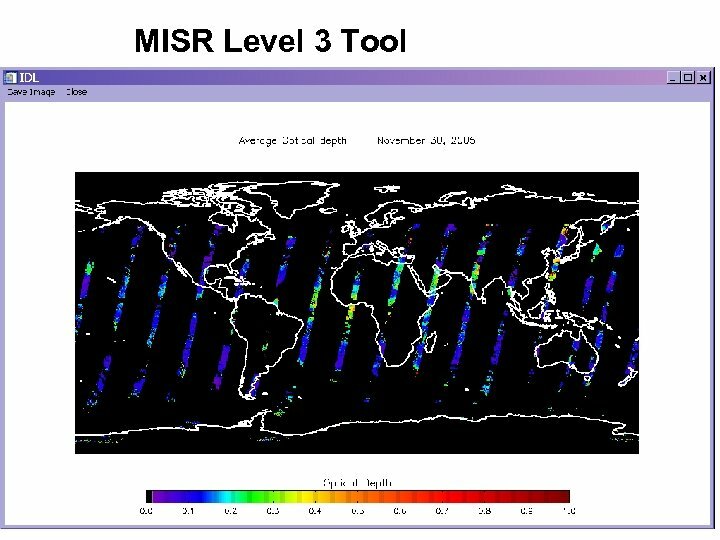 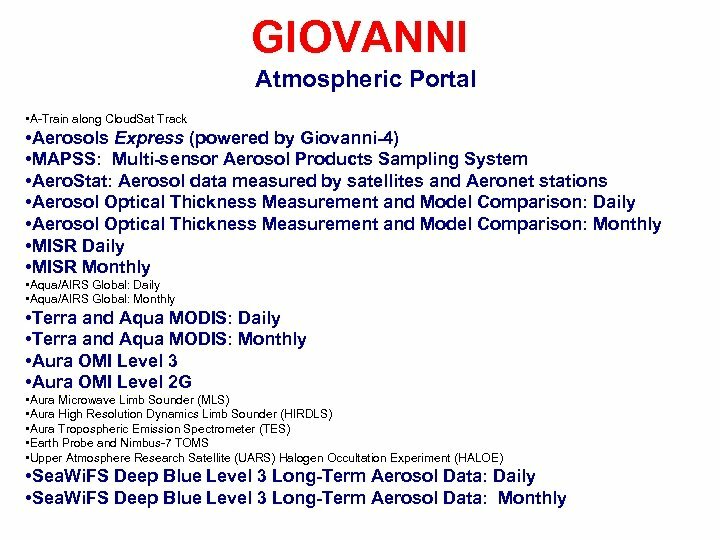 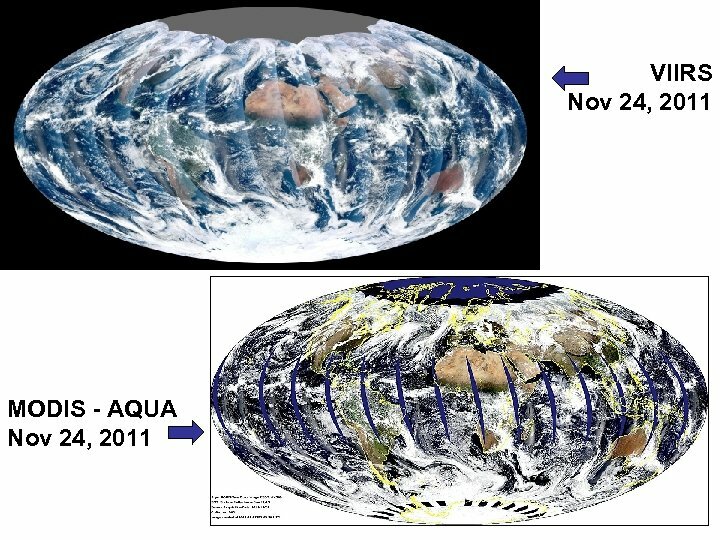 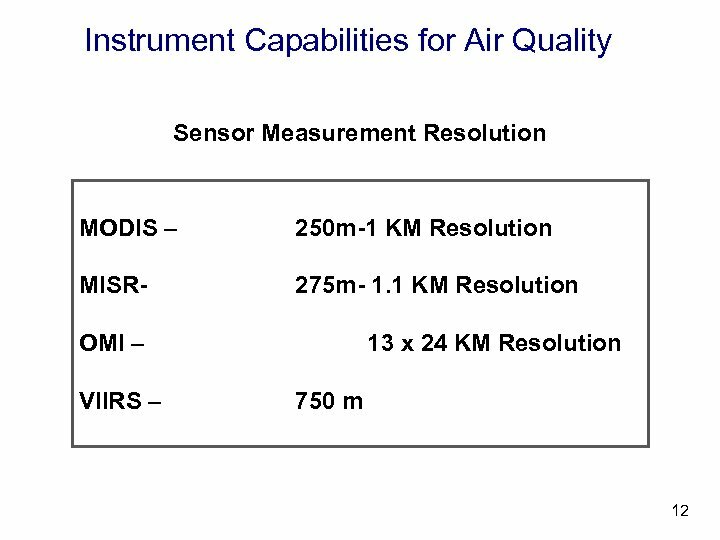 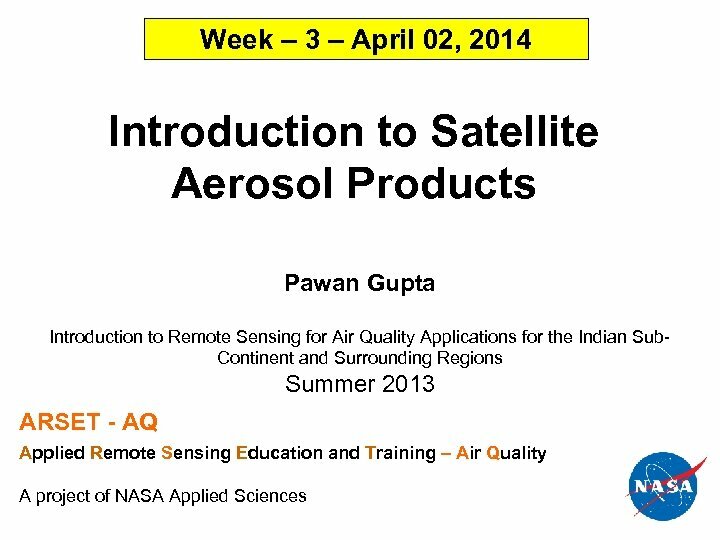 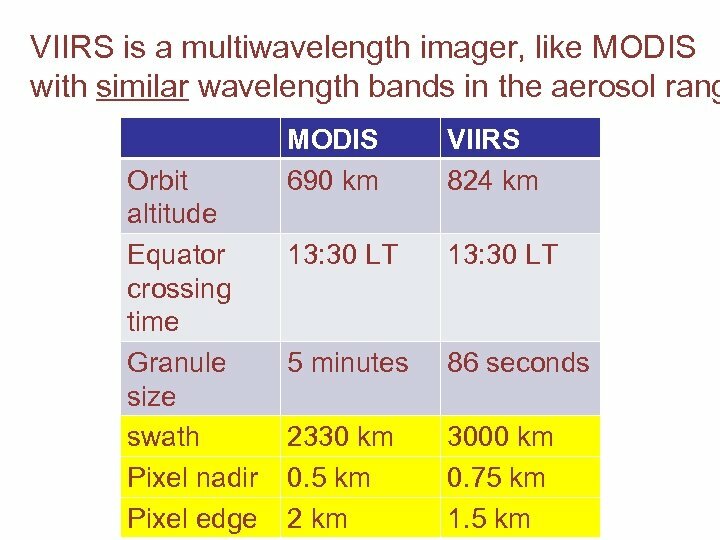 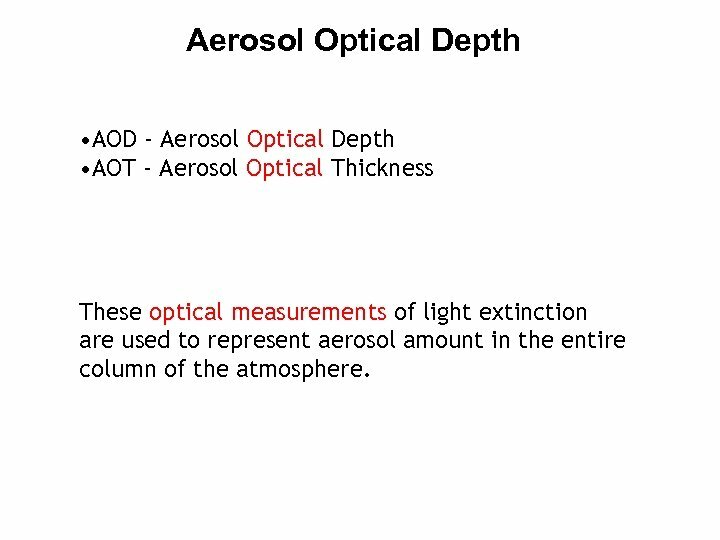 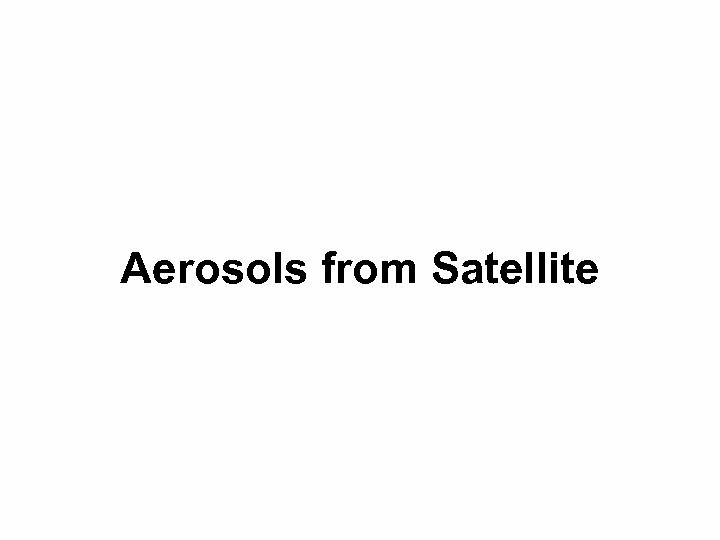 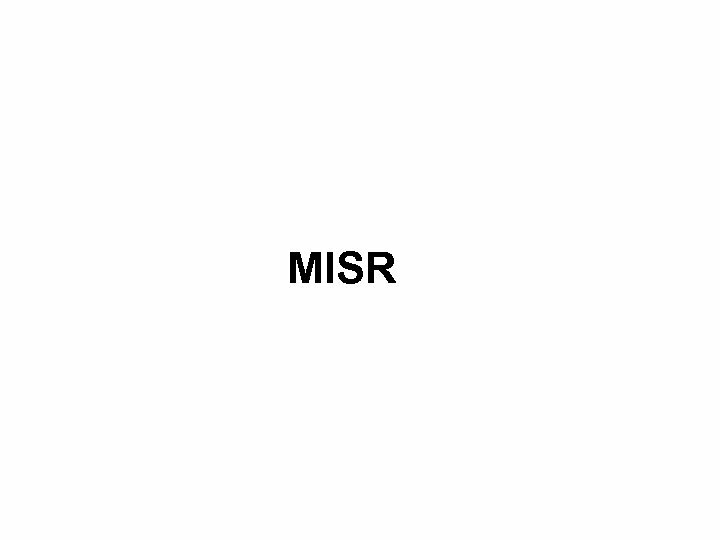 Aerosol Optical Depth • AOD - Aerosol Optical Depth • AOT - Aerosol Optical Thickness These optical measurements of light extinction are used to represent aerosol amount in the entire column of the atmosphere. 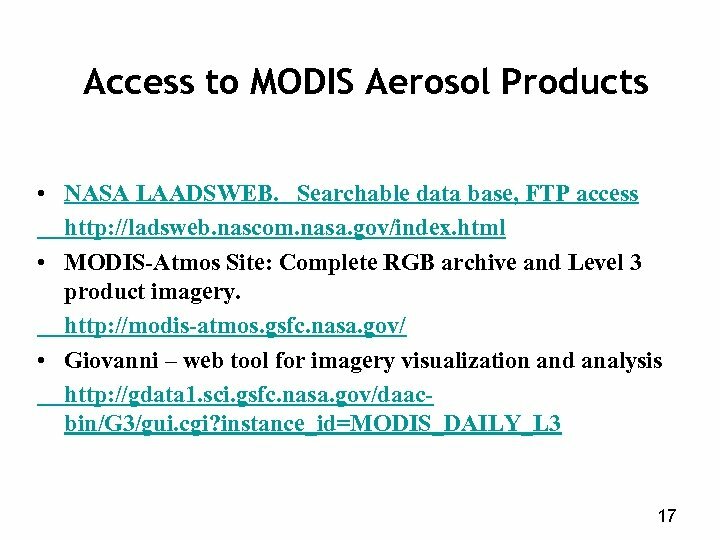 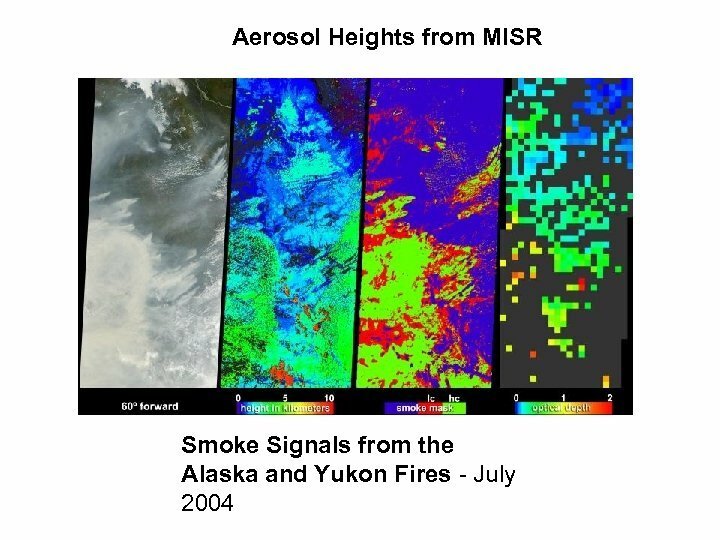 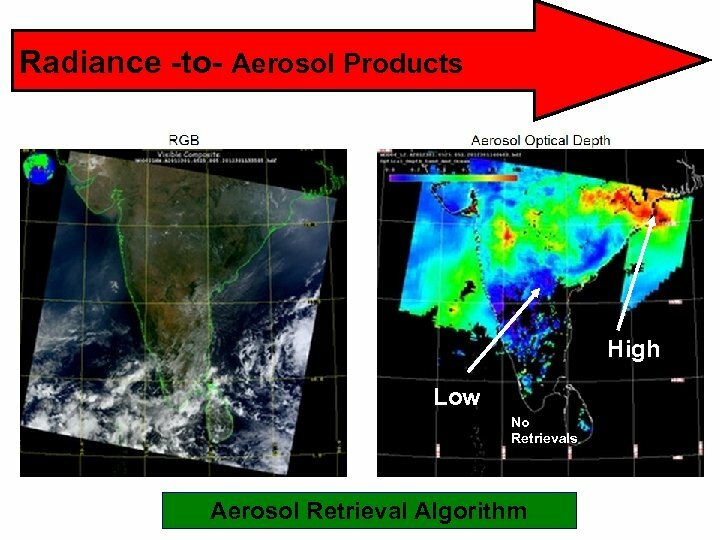 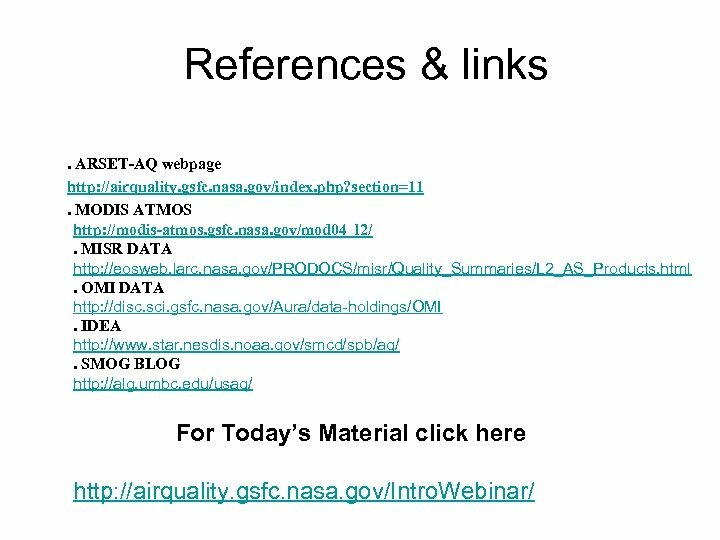 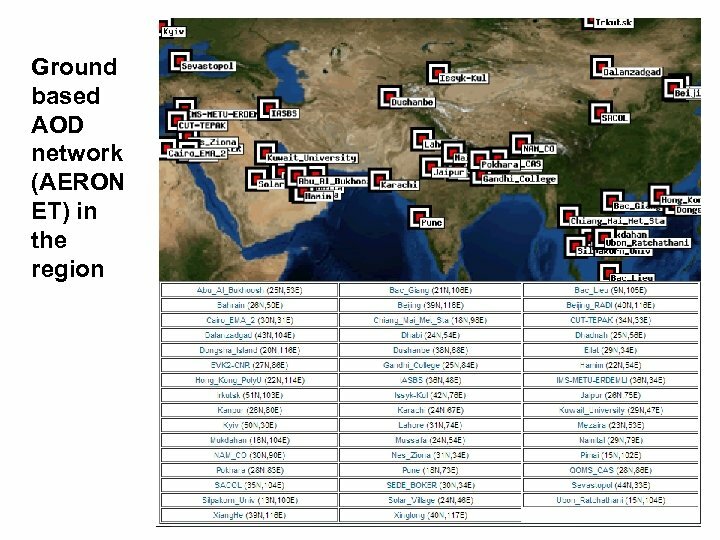 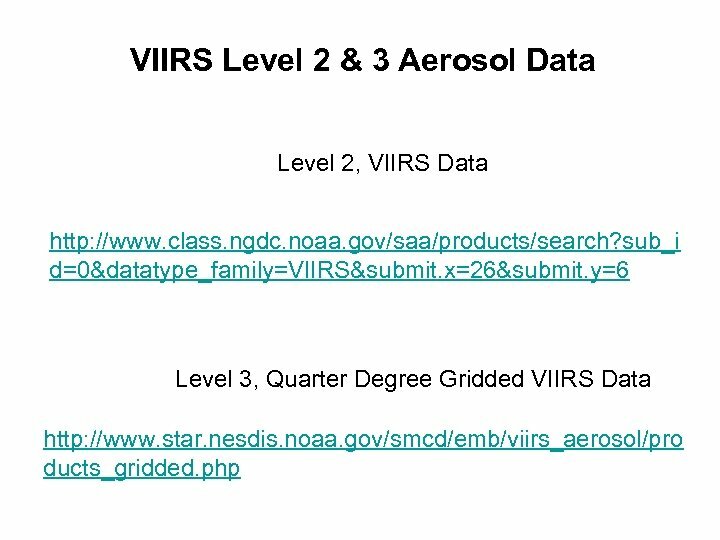 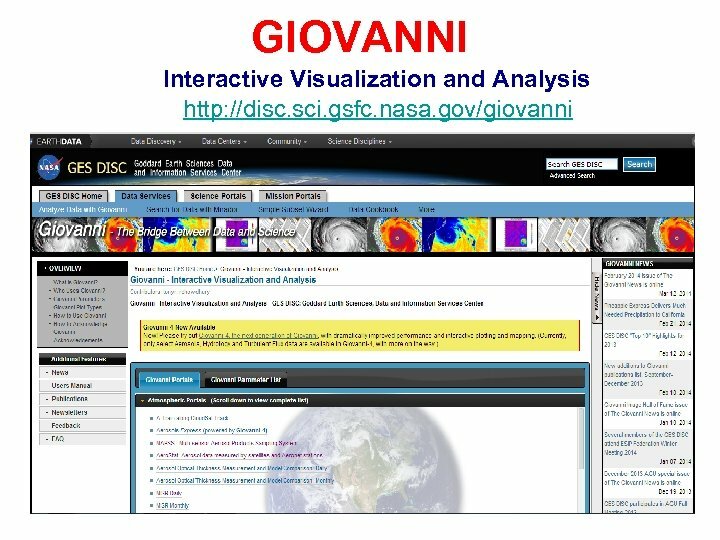 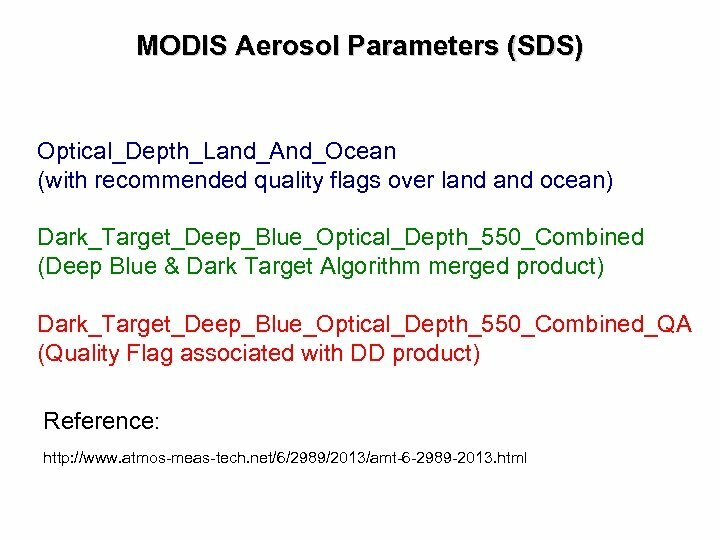 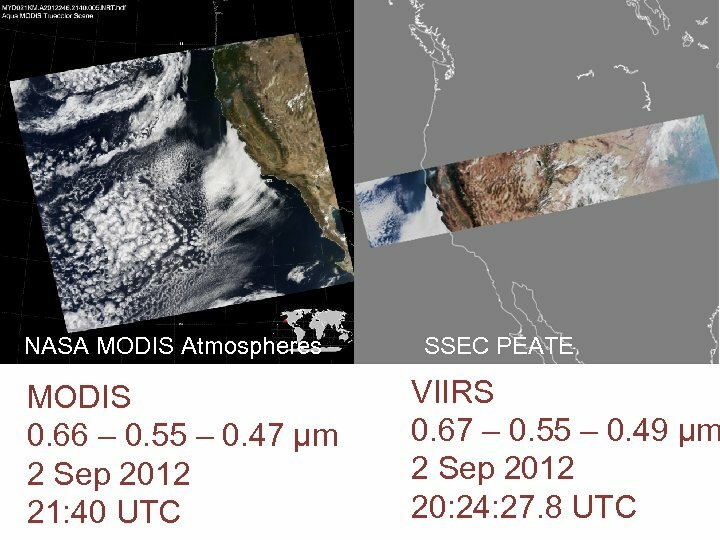 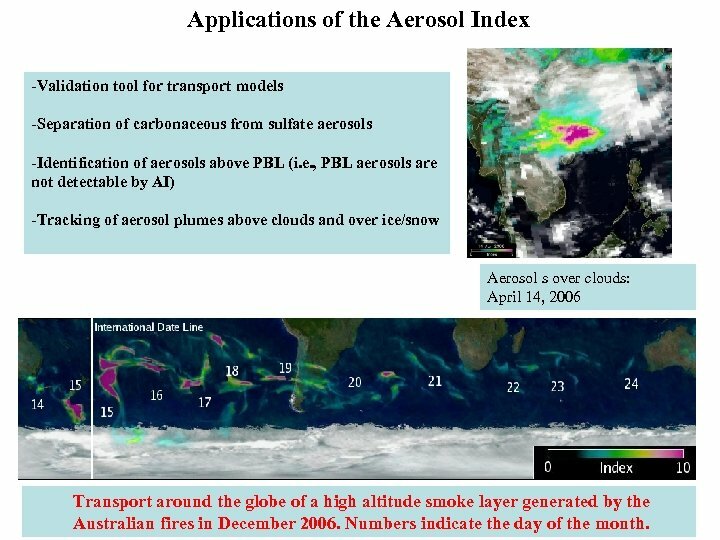 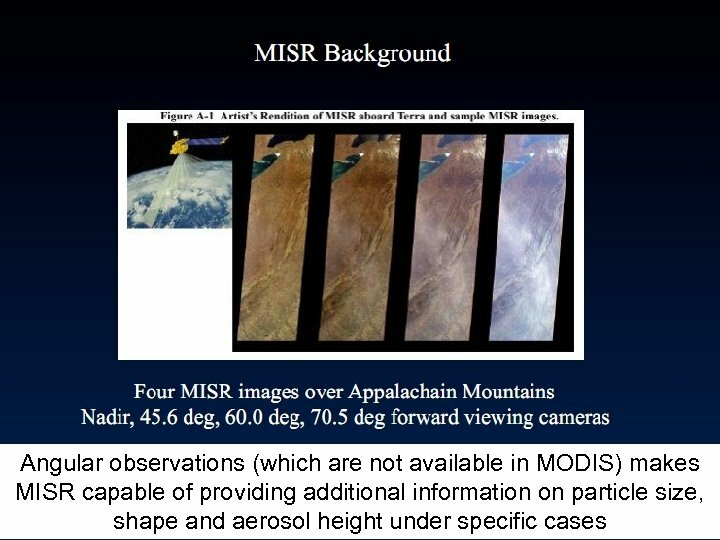 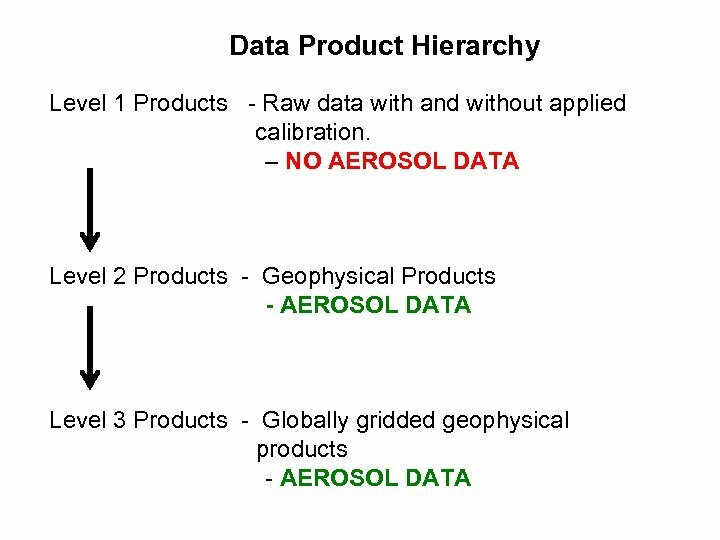 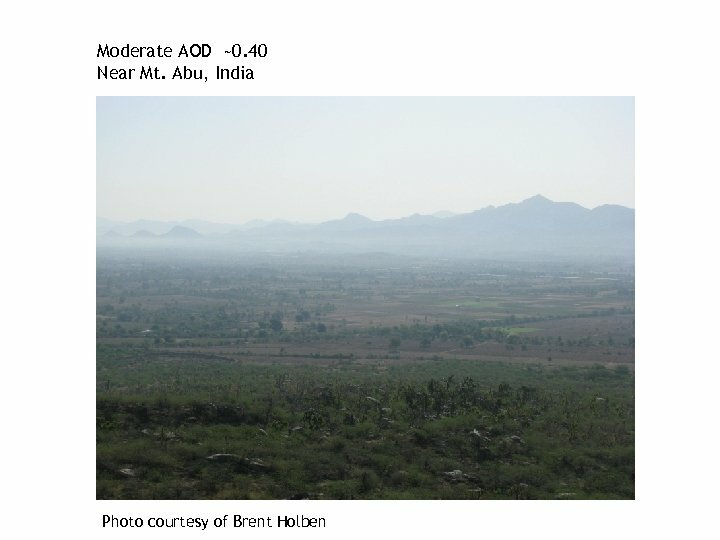 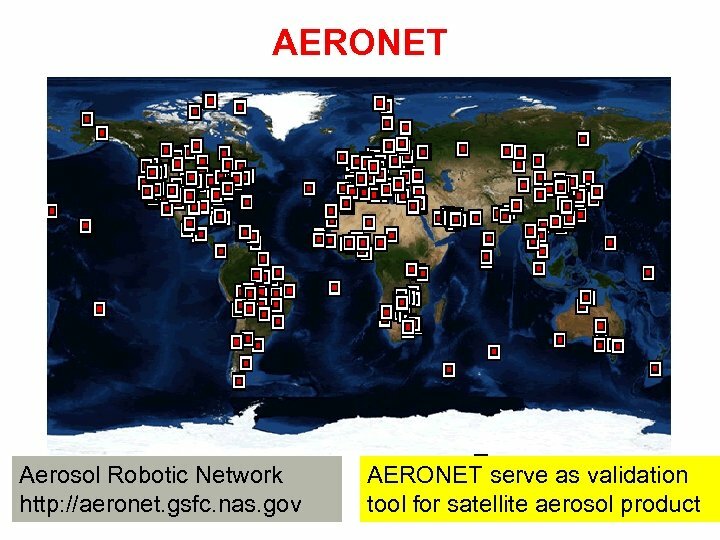 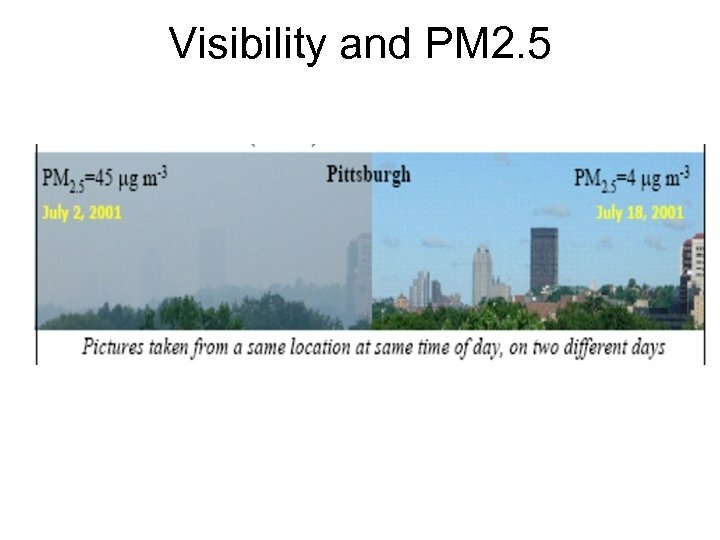 Applications of the Aerosol Index -Validation tool for transport models -Separation of carbonaceous from sulfate aerosols -Identification of aerosols above PBL (i. e. , PBL aerosols are not detectable by AI) -Tracking of aerosol plumes above clouds and over ice/snow Aerosol s over clouds: April 14, 2006 Transport around the globe of a high altitude smoke layer generated by the Australian fires in December 2006. 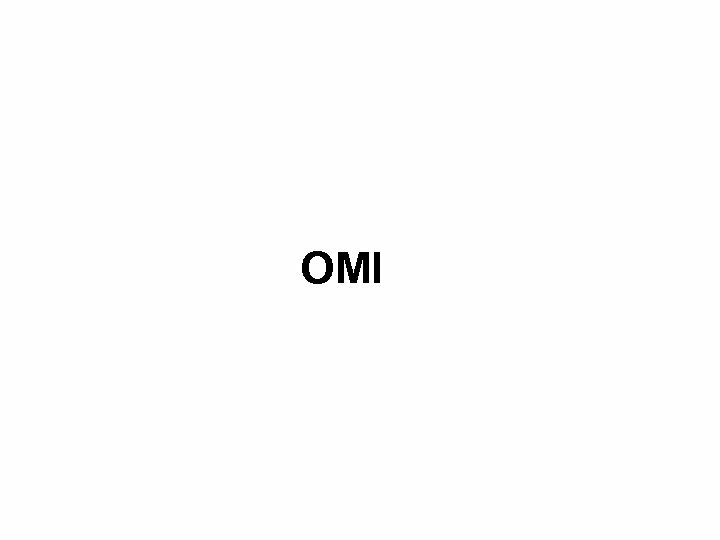 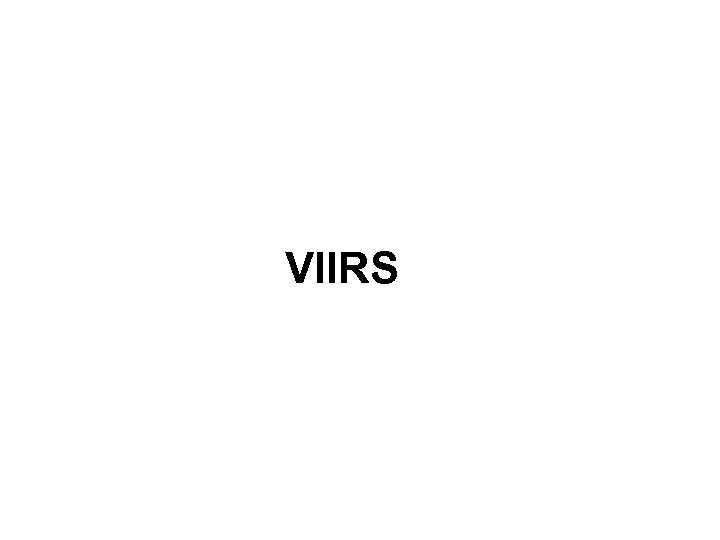 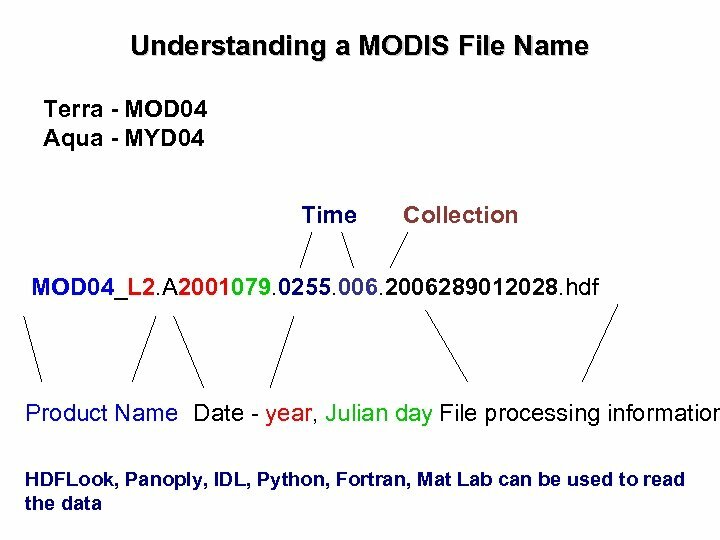 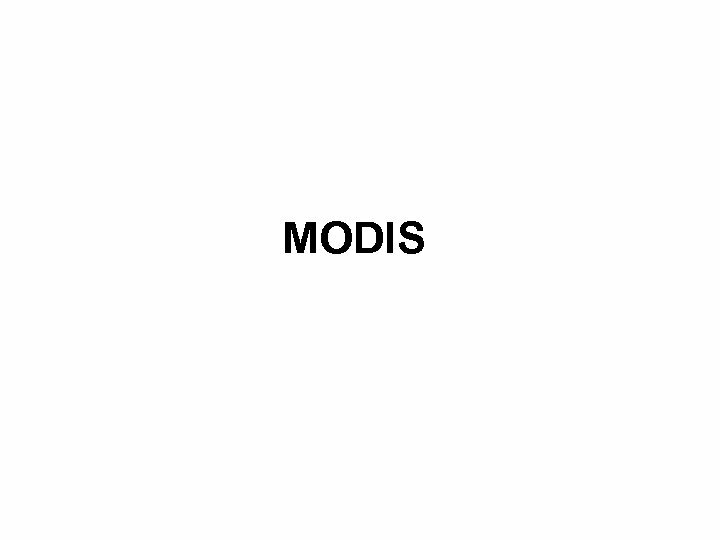 Numbers indicate the day of the month.